Sample disruption is a necessary early step in the isolation of RNA, DNA, and proteins. PRO Scientific rotor stator homogenizers are an ideal physical method used to disrupt the sample since thorough homogenization of cells or tissues is an essential step in RNA isolation that prevents both RNA loss and RNA degradation. The method of homogenization should always be tailored to the cell or tissue type, whereas most cultured cells can be homogenized by simply vortexing in a cell lysis solution, animal tissues, plant tissues, yeast, and bacteria often require more rigorous methods of disruption that a PRO homogenzier can provide. Our Multi-Sample Homogenizing Equipment & Systems such as the Multi-Gen 7XL, DPS-20 and Multi-Prep ensure sample purity by avoiding cross contamination between samples. 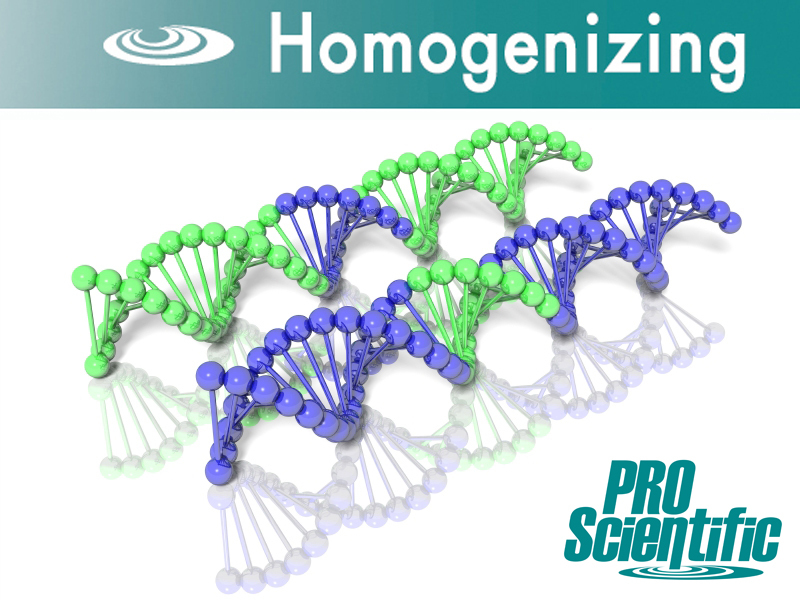 Regardless of which PRO homogenizer setup is selected, most homogenization can be completed in a matter of seconds which eliminates heat production and ensures preservation of the sample.